Seeking top quality resort in Palawan, the Pangulasian island is very alluring, the surroundings is dazzling and impeccable to be honest with its crystal-clear water and white sands. This place is a beautiful, exclusive, affectionate and sunny all day.They provide a lot of activities like diving, hiking through the rainforest, visiting other islands, kayaking, and sailing on a Hobie Cat. The resort is located on a natural island with corals / house reef that are awesome for snorkeling.They also have a beautiful infinity pool and with spacious and comfortable pool villa and have a great friendly dive center. So if you are looking excellent quality, places or location, views, food and truly welcoming and friendly staff. Here we go at the island of Pangulasian found in Elnido, Palawan. Come and visit now!!!!!!!!!!!! 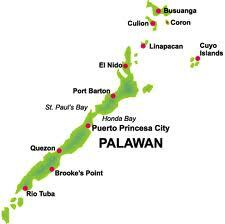 From El Nido is very reachable by land from Puerto Princesa City, from Taytay Town, Palawan. It takes almost 6 hours to travel by land from Puerto Princesa City to El Nido, while it takes 1 1/2 hours by land to travel from Taytay town to El Nido. If you choosing the Island Transvoyager Inc. (ITI) offers daily flights from Manila to El Nido. Travel time is almost 55-minutes utilizing a 50-seater ATR aircraft. From Lio airport in El Nido, a 25 minutes boat ride follows to take guests to Pangulasian Island. Below is our map guide on how to get there easily.